BEVO (sometimes “BeVo” or “Be Vo” but more accurately “BEVo”) – A machine-woven patch with a very tight weave—some might call it a microweave—that, at a glance, may even appear to some to be screened. This unique method of construction was developed by the Germans during WWII and apparently is still unique to patches from Germany. The name is derived from the firm of Banfabrik Ewald Vorsteher, in Wuppertal-Baren, where this manufacturing technique originated. CHENILLE – Patch with a deep, fuzzy pile (like a high school “letter” patch). These are rather rare, so far as military patches are concerned, and most date from the 1950s. COMPUTER-STITCHED – Concurrent with the introduction of multi-head (MH) sewing machines was the application of state-of-the-art computer technology (digital rather than analog) for reading a pattern and guiding the material being embroidered to create the finished product. MH sewing machines allow for a much finer level of detail than Swiss-style embroidery and also create a distinctive, unique pattern of stitching that distinguished such patches from those made by other methods (loom, woven, custom, etc. ), One of the other very visible differences between a MH-produced patch and a loom patch is the uniformly flat surface of the MH product, though some of the more highly skilled MH operators are beginning to experiment with “layering” and the future looks promising. CUSTOM – A patch that has been embroidered by an individual using needle and thread, either by hand or by using a single-needle sewing machine and guiding the material by hand. CUT EDGE – Description of a patch that, after embroidering, has been cut from the base fabric and left with an “unfinished” edge (i.e., not protected from raveling by any of several methods used for this purpose, such as merrowing, selvedging, folding and hemming or gluing, etc.). DAMAGED – A patch that has suffered a slice or cut, usually inflicted while attempting to remove it from a uniform or from Velcro; that has a visible stain on the front side (even if only rust from a staple); or that is missing some portion of the embroidery or base material that was there originally (does not include doctoring). It should be noted that patches containing mounting residue on the back, even heavy residue, are not considered damaged unless its presence or effects are visible while viewing from the front (e.g., the glue has soaked through the fabric and stained or discolored the front). DECALED – Some older patches, especially WWII leather patches, were created by applying a decal to the surface rather than by painting or embroidering the design elements. These typically show their age by cracking and/or flaking as the decal becomes more and more brittle with age. DOCTORED – A patch that has been intentionally changed in some manner from what was produced originally. This may be anything from cutting off a rocker, scroll, or tab, to something as subtle as adding embroidery (often difficult to detect without a close examination of the back side). Post-production embroidery may include the addition of one or more elements to the field, but more often is done to correct a “typo” in the designation or motto. Occasionally, it’s even done to change an inscription rather than fix an error—even officially! GAUZE (also called “cheesecloth”) – A fabric backing for patches that is very thin and has the appearance of the type of material used for surgical dressings or first aid. This backing was common on many patches during the 1950s and 1960s. HAT PATCH – Generally, any patch that was intended for wear on a uniform hat, cap, or beret. In addition to flashes for berets, these include small rectangular patches bearing unit designations only, and also smaller versions of approved unit emblems (generally 2.5” or less in height or diameter). JACKET PATCH (sometimes called “Backpatch”) – Term used to refer to any very large patch (7 inches or greater in height or width). Typically, such large-sized patches were intended for wear on the back (of a jacket or perhaps coveralls) or on the upper front of a jacket, but these were also produced for some organizational flags. LEATHERETTE – Term occasionally used to describe the backing upon which emblems are embroidered that are intended for wear on some military jackets (e.g., the modern A-2 jacket issued to some USAF personnel), though it is actually vinyl. Also, this term was used to describe “patches” made during the 1950s and 1960s whose construction consisted of a screened emblem or a decal that was applied to a cardboard-like material with a peel-and-stick backing that was intended for attachment to flight jackets (these emblems would never have endured the launderings a flight suit or uniform shirt experiences). The most commonly observed patches of this sort are from the 4082d Strategic Wing and the North East Air Command (NEAC). LOOM – A machine for weaving together threads of various colors to form a patch. The most popular of these were manufactured by Schiffli, and the patches they produced are often referred to as “Swiss Embroidery.” The principal advantage of loom-made patches was that large numbers could be made relatively inexpensively, since each run of a large Schiffli loom could produce a hundred patches. After setup, a typical order of 1,000 patches could be made in little more than an hour. MERROWED – A patch having a protective “molding” of thread all around its edge, often referred to as a “rolled edge” because of its appearance, the original purpose of which was to prevent raveling. Merrowing is an over-edge stitch added using a special machine. On loom-made patches, this is performed after a patch has been embroidered and cut; on multihead-made patches it’s done to the pre-made twill “blanks” before they are embroidered. The telltale sign of merrowing is the “pigtail” end that is usually either glued or taped to the back of the patch. Merrowing machines are named after their inventor, Joseph M. Merrow. Although a few patches with merrowing from the 1940s and 1950s have been observed, merrowing of military patches didn’t emerge until the 1960s, didn’t really “catch on” until the 1970s, and didn’t become widespread until the 1980s. Merrowing now seems to be the industry standard, though quite a few are still unmerrowed. It should be noted that because twill doesn’t ravel and is often treated, cut-edge patches really don’t need merrowing, so nowadays it’s usually added because the designer thinks it enhances the looks of the patch. NIPPED – A patch with visible moth damage, usually one or more holes of varying sizes, but could also include, or might be limited to, munching done at the edge (technically, not holes). NO-GLO – This term described a patch that does not fluoresce when illuminated by light in the ultraviolet wavelengths (i.e., when observed using a “blacklight”). More recent patches tend to be constructed of synthetic fibers which will “glow” when thus exposed, whereas patches made before the introduction of synthetics generally do not glow (the one exception is older patches that have been washed with a detergent, which tends to leave a residue that appears to glow). NOS – An acronym used by some dealers which stands for “New Old Stock,” a term created to describe both the condition and the age of an item simultaneously (i.e., an older patch that is unused and in like-new condition). OVALS – very small oval-shaped patches, usually with a border of a color different than the field, made specifically to attach Army airborne insignia (like “jump wings” or a glider badge). Color combinations are unit-specific. PUFF EMBROIDERY – Stitching over a layer of foam or similar material to increase the thickness of the embroidery, adding depth (or more accurately, height) to the patch. PVC – Patches made with Polyvinyl Chloride, a rubberized plastic material that can be molded to any shape and dyed to any color or shade. Soft PVC patches can be made with a 2D or 3D design. They have the advantage of being very durable (waterproof, fade-resistant, and no threads to snag or ravel), making them ideal for harsh outdoor use. These are becoming more and more popular for morale patches. SALTY – A collector’s term for a patch that is not in the best condition. Sometimes, it may be just a bit of dirt, but more often it means the item has seen a lot of use and is faded, worn, and/or banged up (raveling, pulls, staple or tack holes, etc.) but not damaged (sliced or cut, or missing some portion, but done unintentionally rather than doctored). SEALED – A patch to which a plastic coasting has been applied on the reverse side. This plasticization ostensibly helps prolong the life of the patch and is often advertised as allowing for “iron-on” application in lieu of sewing (i.e., when heated, the plastic melts and is partially absorbed into the fabric of the garment to which it is being attached, creating a bond after it cools). SELVEDGED – Similar to merrowing in both appearance and purpose, but this edge finishing is performed with sort of a cross-stitch (very much like a button-hole stitch) rather than by using a merrowing machine, so there is no pigtail remnant and the edging lacked the “rolled” look of merrowing. SHOULDER SLEEVE INSIGNIA (SSI) – Primarily an Army term, used to describe patches intended for wear on the upper portion of the uniform sleeve, near the shoulder seam. 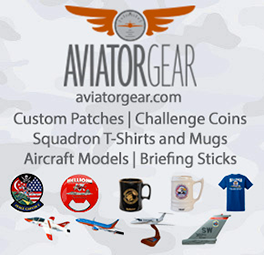 Has applicability for USAF patch collectors who collect early USAAF or Air Corps patches. SOILED – A patch that has not only lost any original luster or sheen it may have once had, but which also has visible dirt, grime, or skin oil accumulation or contamination on its surface. SUBDUED – Term used to describe patches that have intentionally been embroidered with thread colors that make a patch less colorful and, therefore, less visible—especially at a distance. The intent is to avoid having a patch act as a “bullet magnet” by making its uniformed wearer less obvious to those with guns seeking to do bodily harm to others. Most subdued patches use either “woodland” or “desert” colors, but these are typically identified in listings with either (s) or (d), respectively. Subdued patches first appeared in the late 1960s for the Army and Marines (in Vietnam), and in the very early 1980s for the Air Force. SWISS EMBROIDERY – An entire book could be written on this topic (in fact, several have! ), but a concise definition is embroidery that involves a paper tape, punched like the roll for a player piano, that is mechanically “read” by a machine that directs hundreds of needles on a loom simultaneously. The process begins with a sketch of the patch, enlarged to six times the size of the finished product, with every other stitch actually drawn in by hand. The operator traces every indicated stitch line with a metal stylus, creating a paper template for the loom. During the sewing, a different color of thread is used on each “pass” and this, in effect, layers one color on top of another, creating a bas-relief effect, as opposed to the uniformly flat surface of a MH patch. Two or three layers is fairly common, but attempting to penetrate too many layers tends to break needles, so rarely are more than four or five observed. The perception of depth from the raised layers of colors, and the effects of highlighting and shadowing that occur naturally when light hits the patch from various angles, tends to make some of these patches with more elaborate designs true works of art. This type of patch embroidery had its genesis in Switzerland, hence the term “Swiss embroidery,” but the process was imported to the US and was firmly established in the Northern New Jersey area by the outbreak of WWII. (Fully 70 percent of embroidery in the US is still performed in that state.) Swiss embroidered emblems are often referred to as Schiffli patches because they are made on Schiffli looms. These looms use a shuttle that resembles the shape of a sailboat’s hull, and “Schiffli” means “little boat” in the Swiss dialect of the German language. THEATER-MADE – Patches made in a local theater of operations rather than obtained from the exchange, clothing sales store, or the unit. Theater-made patches often feature minor design variations not seen in standard-issue patches. Frequently, the region or country is specified by the seller (e.g., Far East-made, Turkish, etc.). TINSEL – Actually, aluminized Mylar, this is a metallic-looking polyester thread that has the appearance of either silver or gold. Mylar should not be, but often is, confused with “Bullion” thread. TRACKING – The destructive trail left by moth larvae as they eat their way along the surface of a woolen object. These “tracks” are usually about 1/16” (1mm) wide. TWILL – The tightly woven base fabric used for nearly all embroidered patches. Most twill fabrics are either polyester or a cotton/polyester blend. Twill fabric is quite durable and can be dry cleaned or washed dozens of times and still look crisp. One of the most appealing characteristics of twill is that it doesn’t ravel. When all of the twill has been covered with embroidery, a patch is said to be “fully embroidered” and when a portion of the twill is left unembroidered (usually the field behind the elements) the patch is said to be “embroidered on twill” (rather than “partially embroidered”—which is more accurate, technically speaking, but also makes it sound like the job was left unfinished). VELCRO® – A trademarked name (and therefore always properly capitalized) for “hook and pile” fastener material attached to the back of a patch. Velcro came into widespread use on patches during the 1980s. VIVID (also “full color” and frequently, but inaccurately, “color”) – Term used to describe patches that have been embroidered with thread colors that depict an emblem in its normal colors (typically, those listed in an emblem’s officially approved description). WOOL – Occasionally used in lieu of twill, especially on older patches from the 1940s or earlier.